WEC lightweights Donald Cerrone and Jamie Varner finally got the opportunity to finish the fight they never had the chance to at WEC 38. When all was said and done at WEC 51, it was the “Cowboy” who had his hand raised this time around. Varner took home a controversial technical decision in their first tango following an illegal knee in January 2009. “That was a different kind of Donald Cerrone. He shot on me in the 5thRound the last fight, I wasn’t used to the takedowns. [He’s] very rangy, good outside movement, tough dude. He mixed it up,” a disappointed Varner said following the loss. Surprisingly, it was Cerrone’s wrestling that was the key to his success inside 1STBank Center Thursday night. A determined Cerrone was out for blood from the beginning, as he had the former WEC lightweight champion on his heels with a beautifully placed knee that buckled Varner. While he was able to survive the early onslaught, Varner couldn’t muster up much offense the rest of the fight. There was no doubt who the winner was when the final bell rang, as Bruce Buffer declared a unanimous decision (30-27, 30-27, 30-27) victory for the Greg Jackson trained fighter. Although he was dominant, Cerrone admitted he’s not looking for a third bout with reigning champ Benson Henderson. In fact, he’d much rather complete a trilogy in Varner’s backyard of Arizona. Cerrone also trains at Denver’s Grudge Training Center, so he enjoyed quite a bit of home cooking in Part II. 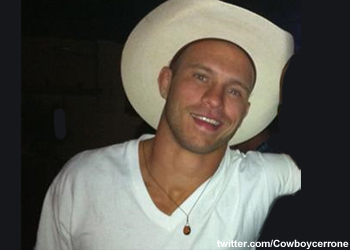 “I’m not looking for any title shots or anything like that,” Cerrone stated. “I just wanna keep fighting, keep improving, keep growing, working on my wrestling and keep growing the fan base.